Creating a pole building can be challenging but we make it rewarding. 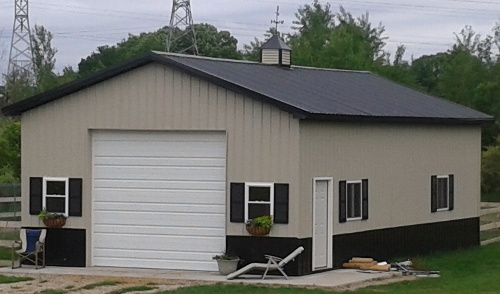 You can change sizes, change roof pitch, place doors and windows, change colors and get a price for the design online now with our Pole Barn Design Center. Colorize, find the right spot for barn doors and windows, then click the SAVE button for a download link. The design cost, images, and building specifications will be included on the downloadable PDF document. Our building packages include detailed drawings for construction, staging lists by wall section and roof section, a summary material list and all the connection detail down to the last fastener. Need a presentation? Or if you simply want a rendering of the elevation drawings and plan for conceptualization we offer that service. 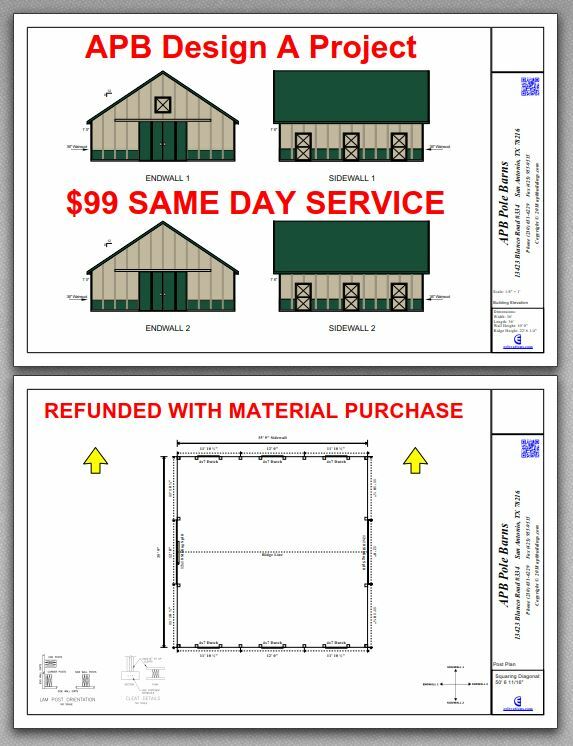 Best of all, our fee is refunded upon purchase of your design, with, or without engineer stamped structurl plans. Many localities require a professional engineer licensed in that state to stamp or seal plans to obtain a building permit. We provide stamped plans in all states with building material purchases.